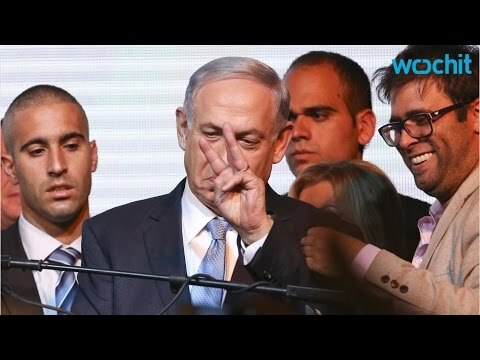 Israeli Prime Minister Binyamin Netanyahu, no longer allowed to sit at the adult table because of his past food fights, has been reduced, as Haaretz observed, to whining from the sidelines. Now he is complaining about an “Iran-Lausanne-Yemen” axis. The negotiations between Iran and the P5 + 1 (the five permenent members of teh UN Security Council plus Germany) have come down to the wire. Diplomats want a final deal by close of business Tuesdays. Last minute complications have predictably arisen, but from all accounts a deal is plausible, though not yet a sure thing. Any deal would limit Iran’s break-out capacity or ability to go for broke and produce a nuclear warhead (something its Supreme clerical leader, Ali Khamenei, says he doesn’t want, since weapons of mass destruction are illegal in Islamic law, which forbids killing non-combatants and innocents.) In return, Iran wants a removal of international economic sanctions. Netanyahu opposes this deal because it would leave Iran with the right to enrich uranium and a distant break-out capacity. He wants Iran to be forced to mothball its uranium enrichment program entirely, a demand that is completely unrealistic short of a US invasion and occupation of that country (which is 2.5 times as populous as Iraq and much bigger geographically). Netanyahu resents Israel having been pushed out of its occupied territory in Lebanon by the Iran-backed Hizbullah. As a Greater Israel expansionist, he wants the state to be completely unconstrained, as the only nuclear-armed power in the region. To jump the shark” means to go so far as to become a self-parody that can no longer be taken seriously. Netanyahu now cannot tell the difference between diplomats in pinstripes being stiff around the table in Switzerland and grassroots Shiite tribal forces asserting themselves in Yemen. He sees French Foreign Minister Laurent Fabius as a Houthi tribesman, beturbanned and attended by goats. Even the idea that the Houthi movement in Yemen can be seen primarily as an Iranian project is a falsehood; it is a grassroots expression of frustration with governmental neglect. Netanyahu has started seeing Iran all around him, giving him nightmares, consuming his every waking moment. This absurdism comes not from fear that Iran might do something to Israel. It is far away and doesn’t have the military capacity, and has a no first strike policy. Moreover, Israel has some 200 nuclear weapons while Iran has none. It is because Netanyahu as a militarist wants to be able to be brutal to his neighbors with no fear of being curbed. And, it is because Netanyahu desperately wants to take the world’s eyes off the creeping Israeli colonization and annexation of Palestinian property in the West Bank. His alarmism is intended to impress Republicans in Congress and to persuade them to reject any Iran deal attained, because militarists never like to see an outbreak of peace. As for ordinary Americans, we’d all be much better off and spared a ruinous and fruitless war, if the Iran deal is brought to fruition. Pay no attention to those raspberries coming from Tel Aviv . . . or are they sour grapes?